I’ve always had a soft spot for star anise. 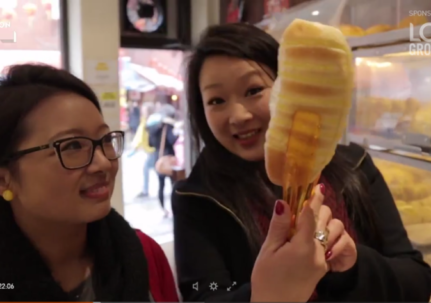 With it’s woody, earthy feel and pretty shape reminiscent of a fallen autumn leaf, it has a subtle yet vital presence that can be felt in some of the most iconic Cantonese dishes. 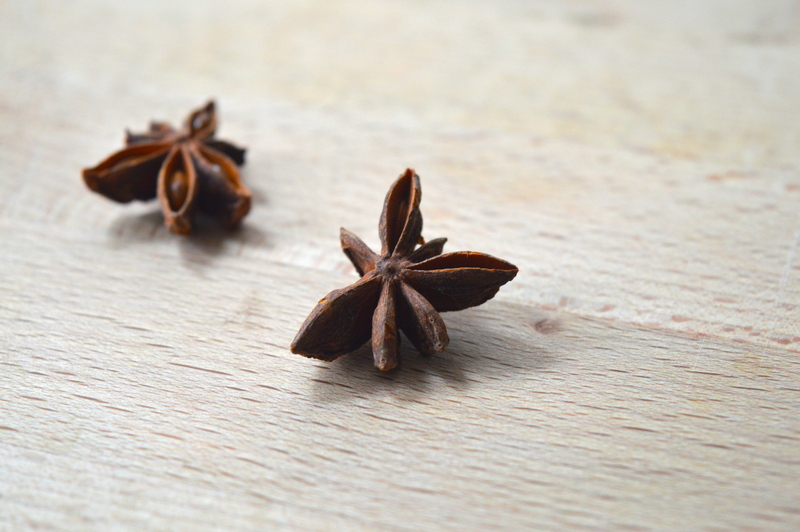 From crispy duck to roast pork belly, the warming aniseed and liquorice-esque tones of star anise play an important role in creating a rich, deep flavour. Star anise is also the predominant component in Chinese five-spice powder, so it often appears in recipes in this more potent ground form. 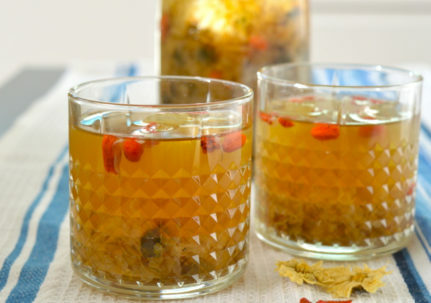 Nevertheless, some of my favourite recipes call for whole star anise. 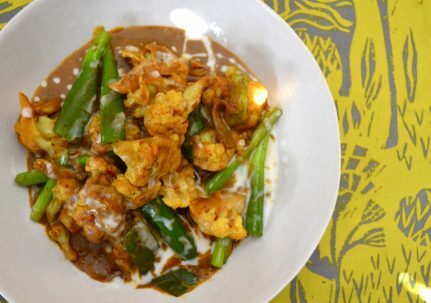 These are usually slow-cooked and braised dishes that gently coax out the flavour of the spice. For example, the addition of whole star anise is absolutely essential in ow larm, a lusciously dark and velvety Cantonese dish of braised beef brisket. 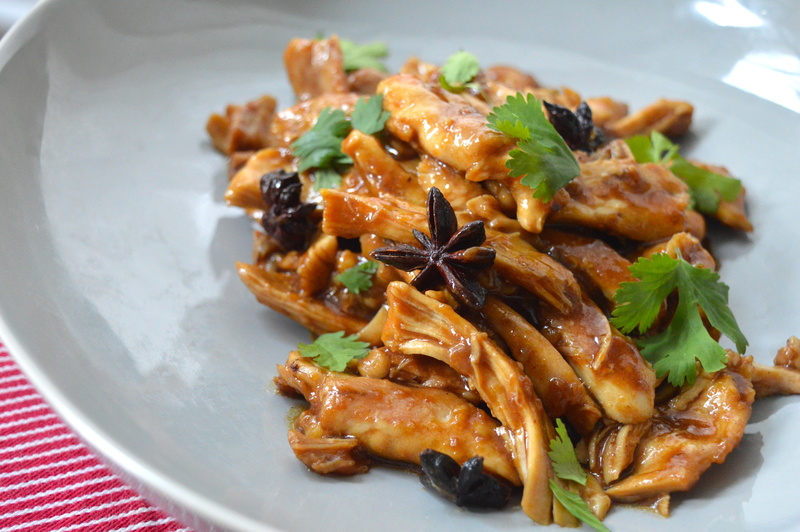 I came up with today’s recipe because I had a craving for the warmth of star anise. The smattering of burnt orange leaves lining the footpath outside also reminded me that Autumn is the perfect season for star anise braised dishes to counter the chill in the air. 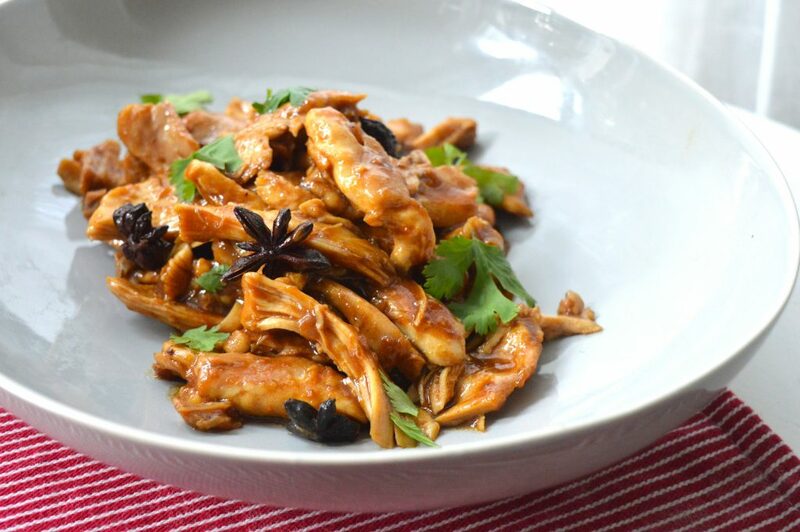 First braised to maximise juiciness, then shredded to soak up the sauce, this star anise pulled chicken is also highly versatile: have it with rice and greens, between brioche burger buns, or mixed through egg noodles. I used bone-in and skin-on thighs because I find them extra succulent and flavoursome, but you could just as easily go for skinless and boneless thighs too. 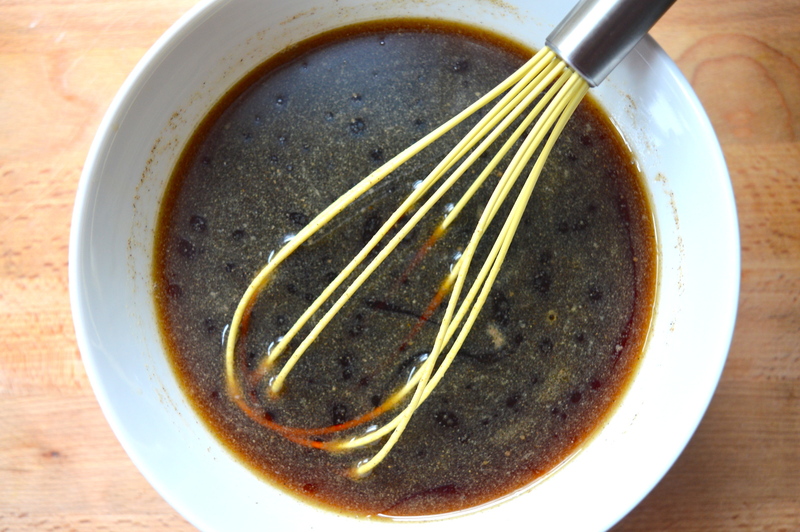 Stir together all of the ingredients for the braising liquid until the sugar has dissolved. Set aside. Dust the chicken thighs with the cornflour. 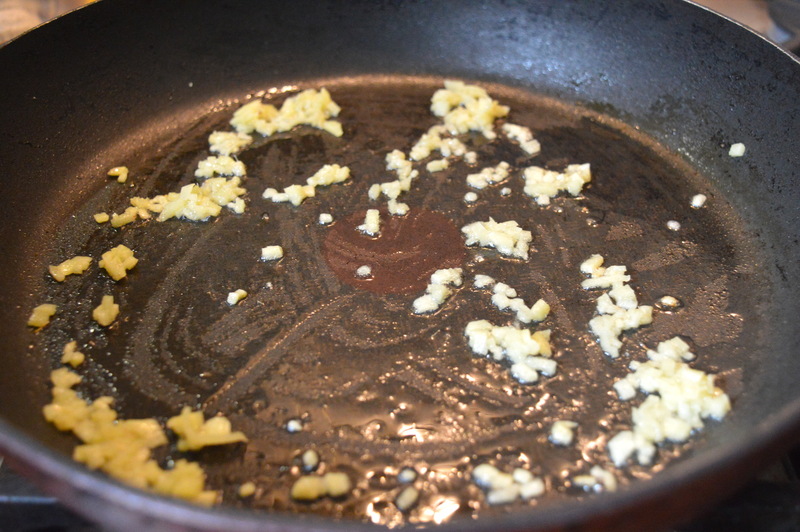 Heat a small dash of vegetable oil in a frying pan over a high heat, then add the ginger. 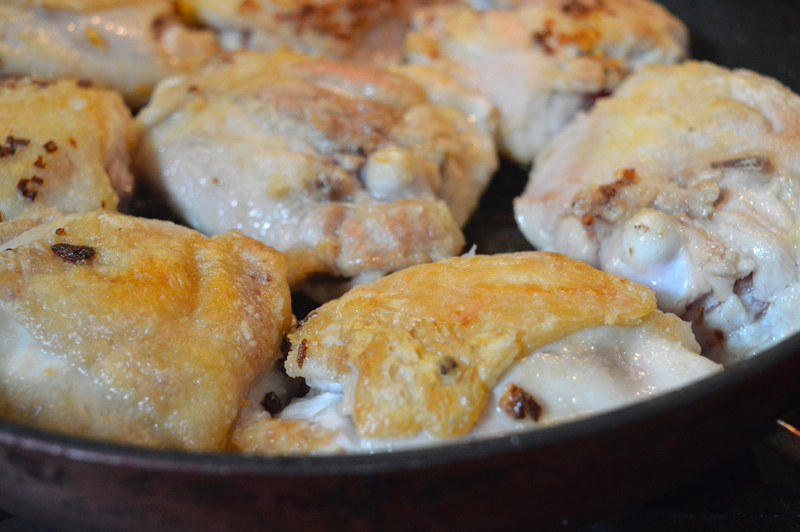 Fry for a few seconds until aromatic, then add the thighs (skin side down first, if using skin-on thighs). Brown the chicken for a few minutes on each side. If your frying pan has high sides and a lid, add the braising liquid directly to this pan. Note that you may wish to drain off some of the excess fat first. 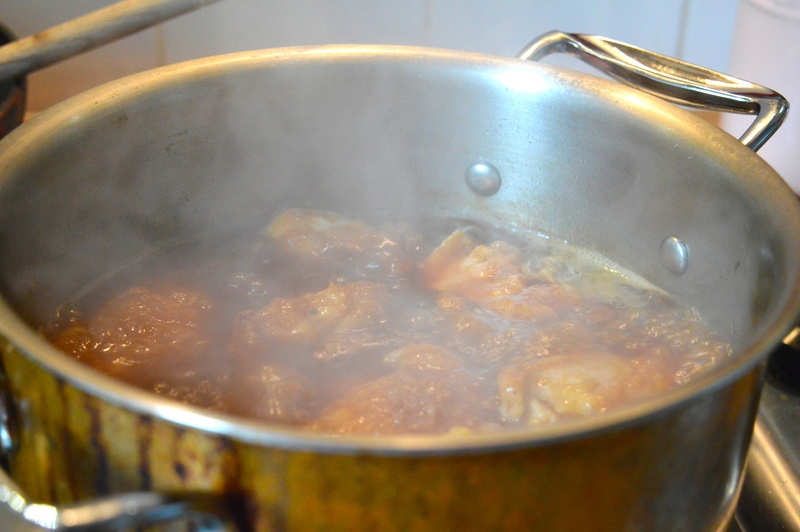 Otherwise, transfer the chicken thighs to a large saucepan along with the braising liquid. 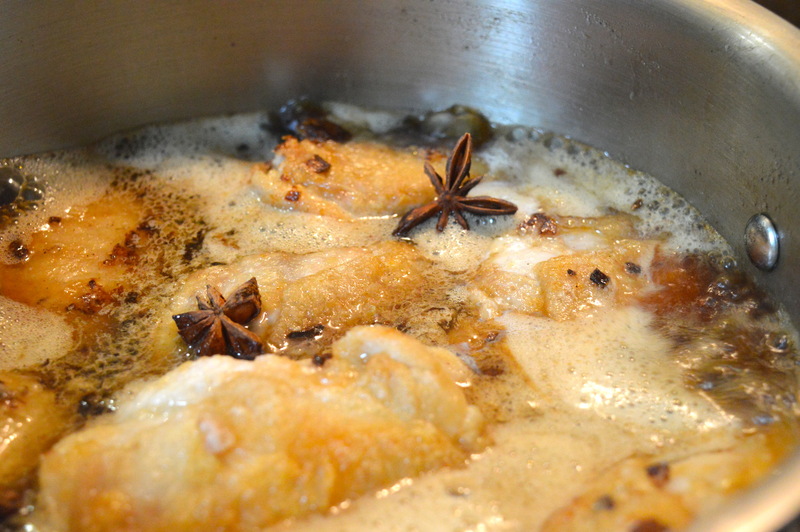 Bring the liquid to a soft rolling boil then leave to simmer for half an hour, turning the thighs occasionally. 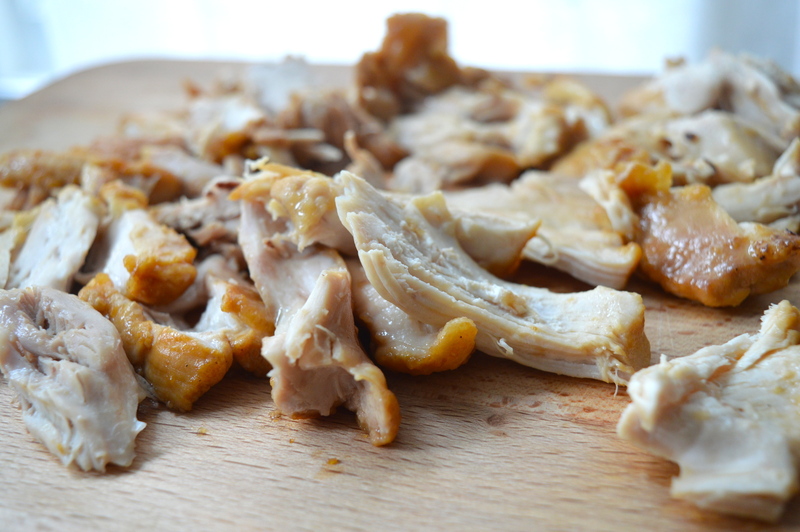 Remove the thighs to a chopping board or a large plate. 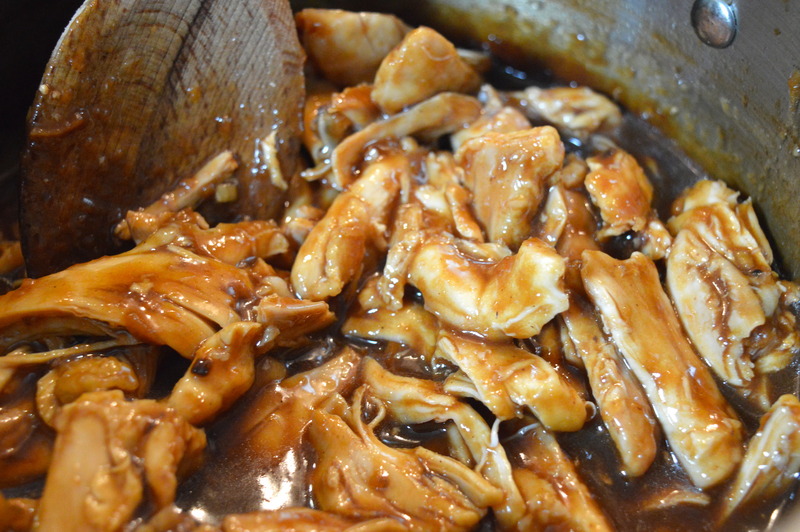 Stir the oyster sauce into the braising liquid, then leave the pan uncovered and boiling in order to reduce the sauce. Meanwhile, remove the skin on the chicken thighs (if necessary), and shred the meat using two forks (or your hands, if you allow the chicken to cool slightly first). 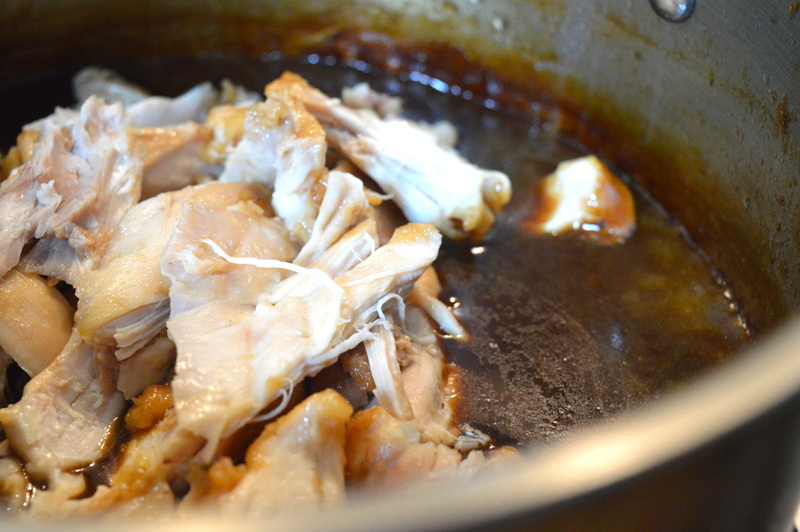 When the sauce has become thick and velvety enough to coat the back of a wooden spoon, return the pulled chicken to the pan and stir to coat with the sauce.